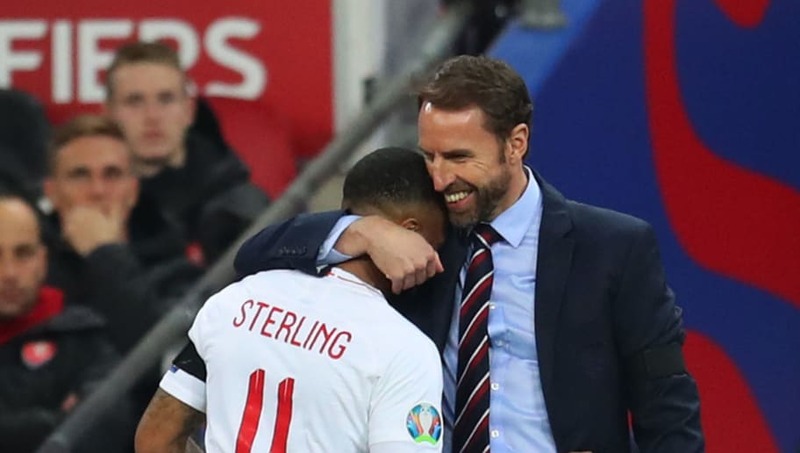 Gareth Southgate eulogised over Raheem Sterling ​after the forward scored a wonderful hat-trick in England's thrashing of the Czech Republic. ​Sterling has been the target of much criticism previously while on international duty, but this time he proved his doubters wrong in an England shirt with an exceptional hat trick that bagged the Manchester City man the match ball. In his post match interview with ​Sky ​Sports, England manager Gareth Southgate said: "His finishes tonight are ones he took on without thinking too much. You could almost see the thought process in the past but now he's hungry for those goals, he's added that incentive to his game and I thought he was devastating today." A penalty from captain Harry Kane as well as a comical own goal from Tomas Kalas meant that along with Sterling's heroics, the Three Lions opened their qualifying campaign with a ​5-0 victory. ​"We were a little slow at the start coming to the ball and there was a period at the beginning of the second half where we lost a bit of tactical discipline and conceded chances that on another night would have been punished. ​"I'm nit-picking but I think we can get better, we have to keep doing that because these guys have got potential to play at an even higher level than they did tonight."